It's November, and it's been so busy that I've been struggling to find time and brain space to put together a cheerful newsletter. But it's here, albeit a little late, and as promised we're talking Cornwall. 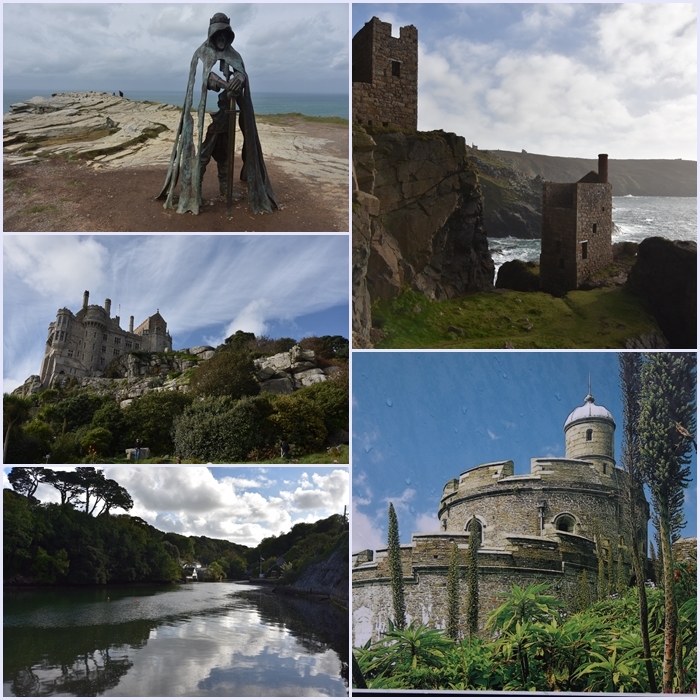 Our recent Cornwall trip was filled with castles and mines, began with a king and ended with a pirate. Since both the king and the pirate were fictional, it was a bit like a book tour with history and food in the middle. And, of course, it was epic. We'd not been to Cornwall for a few years, and the last time we visited we didn't make it to Tintagel. So this time around, Tintagel was our first stop. It was blowing a gale, which was entertaining when clambering up and down the gazillion of steps that cover the headland where Tintagel sits, battered by waves and wind since time out of mind. One of my favourite Arthurian stories came to mind as we stood there: Marion Zimmer Bradley's The Mists of Avalon. I read this before I ever came to England, and when I stand on the rock and look around, I find it fits. It always has. For a minute or two, I'm there believing in the king that was and will be. In Tintagel, it makes total sense. The other Cornwall-inspired book I adore is Daphne du Maurier's Frenchman's Creek and Steve outdid himself finding a boathouse on a creek for us to stay in. If you live beside the sea, then the constant back and forth of the tide will be normal. For us, it was riveting to watch. And on our last day we walked to Helford Passage, took the ferry to the other side and went to explore Frenchman's Creek. It was as lonely and mysterious as it is in the book and if a brig had lain at anchor I wouldn't have been surprised. In between the king and the pirate we explored castles, took a look at Truro Cathedral and went underground. I've not yet gotten around to reading (or watching) the Poldark series, but the sights and sounds were all around us. And we found a lovely cemetery, which is a subtropical garden. Many of the servicemen preparing for the D-Day landings visited the church and their entries in the church's visitors book make fascinating reading. If you'd like to know more about the places we've explored, please keep an eye on the website where they'll all turn up in due course. Even though we all know by now that William, duke of Normandy, won England in battle on October 14th, I'll keep going a little while longer with his story. Why? Because I'd have loved to have been a fly on the wall of Duke William's tent the morning after the battle. Focusing all ones attention on attaining a goal is one thing. Moving on afterwards is quite another. I wonder how William felt — apart from most likely sore and maybe hungover — what he thought of the previous day's work and how he considered his future. He'd defeated Harold in battle, yes, but that didn't mean England was his for the taking. William expected the surviving English nobles to submit to his rule, but… no. The Witenagemot, Anglo-Saxon England's ruling council, proclaimed Edgar the Aetheling King of England, almost ignoring what had happened at Hastings. For William, the fight wasn't over. He marched on London and fought another battle at Southwark. He won, but the victory didn't immediately give him London. So by November, William's conquest of England was by no means secure. It's the time of year to go on a pre-Christmas diet and whatever get-together one attends, there's bound to be dip and celery on offer somewhere. Now, I detest raw celery with considerable vehemence, but I don't need much persuasion when it's been tempered by heat. Cooked celery is something completely different, whether it teams up with potatoes in a velvety soup or stands on its own. So here's a very quick and tasty vegetable dish that would make a nice lunch with some fresh, crusty bread. Or go well as a side dish to a roast. And when I said this is simple, I really meant it. 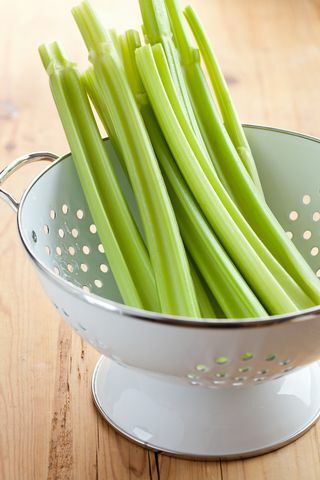 Place your chopped celery into a saucepan, pour on the stock and bring to the boil. Turn down the heat and simmer until the celery is cooked, but still has a bit of crispness about it. 10-15 minutes should do it. Then lift the celery from the stock and arrange in a serving dish. Beat the butter/flour mix into the remaining stock and stir until thickened. Then add the cream, check the seasoning and pour the lot over the celery. Well, the plan is for me to write about a coronation that almost ended in bloodshed and share a few lovely seasonal recipes... but that may all still change. Meanwhile, if you celebrate Thanksgiving, have a lovely feast. And please keep safe and well!